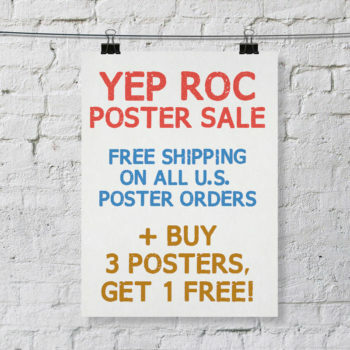 Build your Yep Roc poster collection for cheap right now! We’re currently offering up to 50% off posters on the Yep Roc store, plus if you buy 3 posters you’ll get one absolutely FREE! Not to mention, FREE U.S. shipping on all poster orders!! You won’t find a deal better than this! We have autographed posters from Dave Alvin & Phil Alvin, Sloan, The Apples in stereo, The Stray Birds, and more! Not to mention limited edition posters from Nick Lowe, Robyn Hitchcock, Josh Rouse, and all your other Yep Roc favorites! Shop the sale NOW!